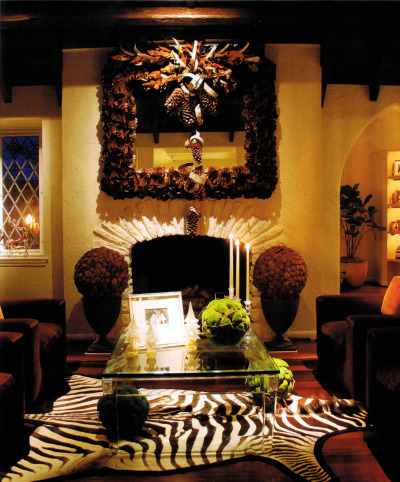 You don’t need me to tell you that a Zebra hide rug can can give a whole different effect in a room’s flavor and style. 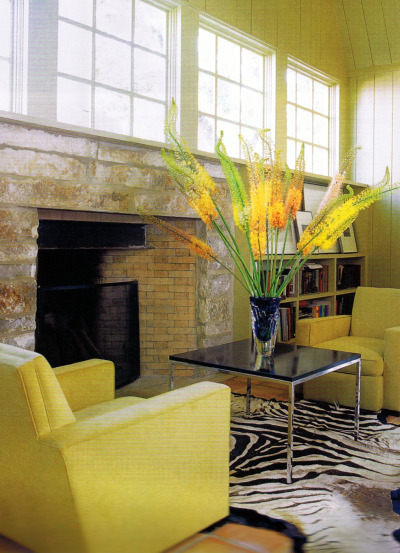 From traditional to contemporary, Zebra hides can add color, texture and a sense of movement in any decor setting. 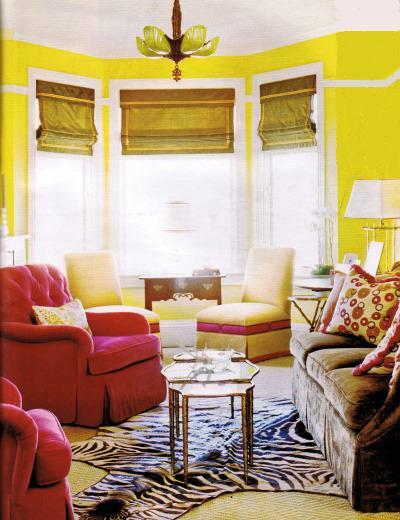 We often see them in more modern setups making their bold statement but lately they even grace more traditional rooms. 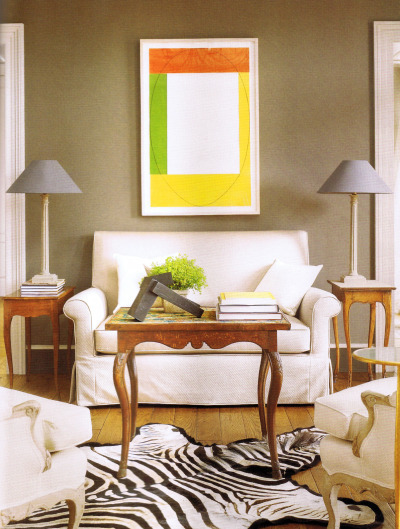 You can use them on a bare hard floor or on top of a neutral, non-patterned rug, going with the flow of the room or diagonally in a random placement. 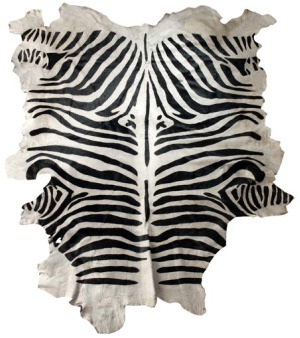 In today’s market you can find them in many qualities, coloration, sizes and prices–most likely in the form of a painted cow hide that imitates Zebra skin (see Edelman’s faux zebra on the first image). As with anything else, make sure you buy a hide that has been through a quality tanning process so you don’t have shedding surprises over the time of use. 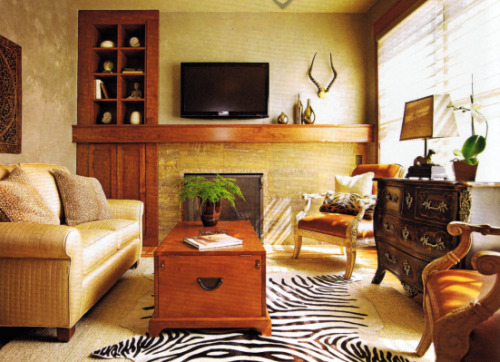 And for the ‘green’ lovers there are Zebra hide rugs with 100% man-made materials that they look pretty good and at the same time they are environmentally friendly.